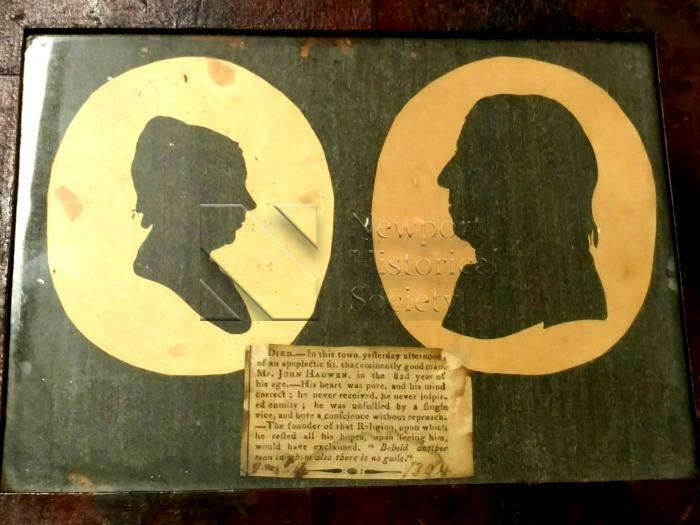 Framed paper silhouettes of Mr. and Mrs. Hadwen. Inside frame is a newspaper clipping of John Hawden's obituary. The silhouettes are in reverse; they are cut outs on a black background.